This chapter examines research needs related to technology and tech-smart urban investments. Smart city planning will need to continually and proactively adapt to constantly emerging new challenges, such as climate challenge and technologies. 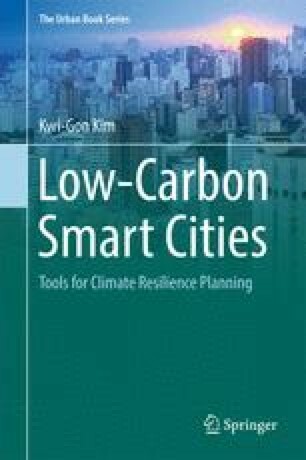 The emerging challenges of climate city planning are highlighting the need for further and ongoing research on uses, benefits and possibilities of smart technologies for the digitalization of cities. How to fully build an ideal climate smart city is a big question. To answer this question, a lot more research is needed to explore and connect: Smart cities in general; and citizens’ participation, new energy industry, big data, land use, water, solid waste, transportation, climate change mitigation, climate change adaptation, green infrastructure, connected smart factory, carbon financing and IoT-based smart city testbed projects in specific.